UPDATE: Ipswich Excavation Archive has now been released! All sites can be explored here! Intern et Archaeology is delighted to announce that we have been awarded the Directory of Open Access Journals (DOAJ) Seal. allows authors to hold copyright without restriction. Internet Archaeology is currently the only open access archaeology journal to be awarded the Seal, sitting alongside 88 other journals from right across the academic spectrum. It is wonderful to have been recognised for our work in this area by the DOAJ. For a great deal of human history, wood has been an important construction material and remnants of ancient wood are preserved to this day in archaeological sites on land and under water, as well as in buildings and mobile heritage. 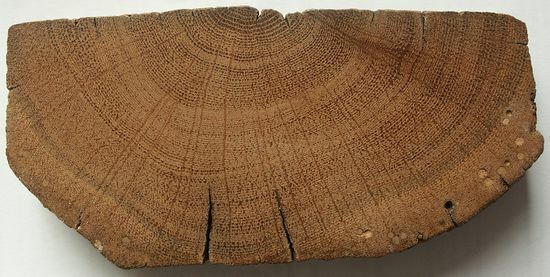 Dendrochronology is an important tool in cultural-heritage research to determine the exact calendar age of ancient wood. Such age determinations contribute significantly to assessments of the meaning of archaeological and architectural structures in terms of their chronological and cultural context.